Campbell, Naomi. "Jeff Koons." Interview [Germany] November 2012, p. 100. Holzworth, Hans Werner. Jeff Koons. Cologne 2008, p. 1, illustrated in color (in the studio). Lichtenstein Girls. Exh. cat., New York: Gagosian Gallery, 2008, p. 12, illustrated in color. Rappolt, Mark. 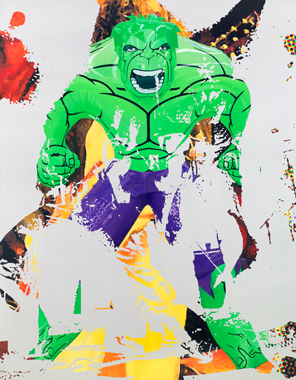 “Jeff Koons Power Up!” Art Review (no. 12) June 2007, pp. 14, 84-90.